MBS Engineering worked with the Monterey County Office of education to install seismic valves at their main office in Salinas, CA. 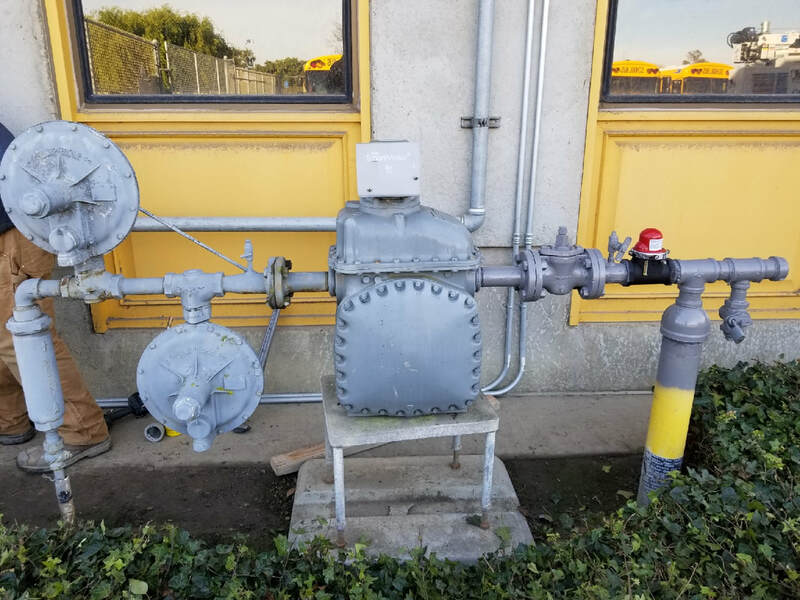 MBS successfully installed three seismic valves at different locations on their property to ensure their facilities would be protected from gas-related damages in the event of an earthquake. 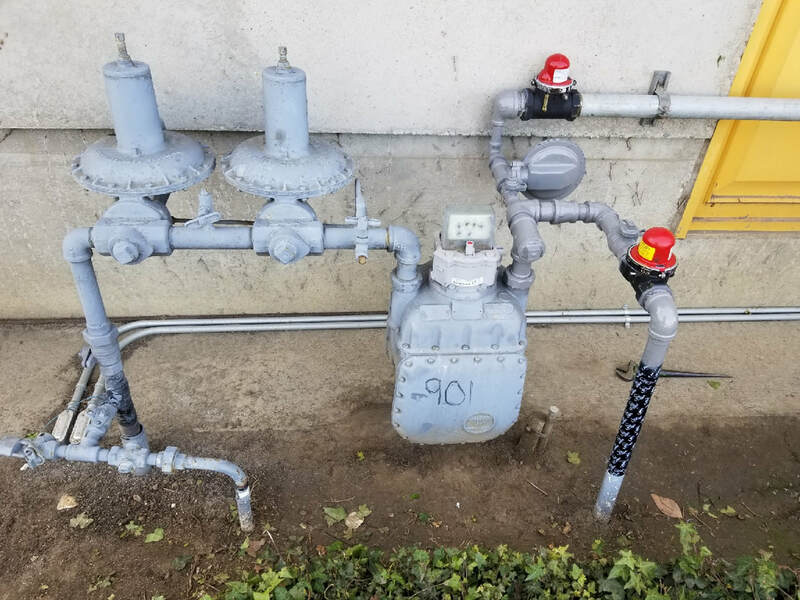 MBS Engineering worked as a subcontractor on a modernization project for an elementary school in Galt, CA updating their natural gas system. MBS replaced over 400 linear feet of old steel natural gas piping with new 6 inch polyethylene pipe. 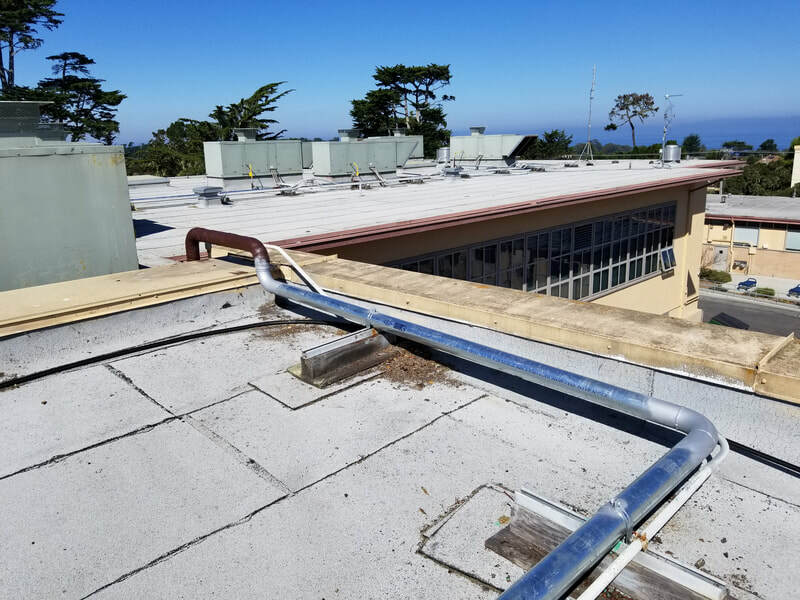 ​MBS Engineering worked as the prime contractor to replace over 400 linear feet of rooftop gas piping at Pacific Grove Middle School in Pacific Grove, CA near Monterey. Due to the harsh climate near the coast, the exposed gas piping at the school was severely corroded to the point it had begun to develop some minor leaks. MBS crews worked efficiently to complete the project quickly and minimize any downtime for the school. 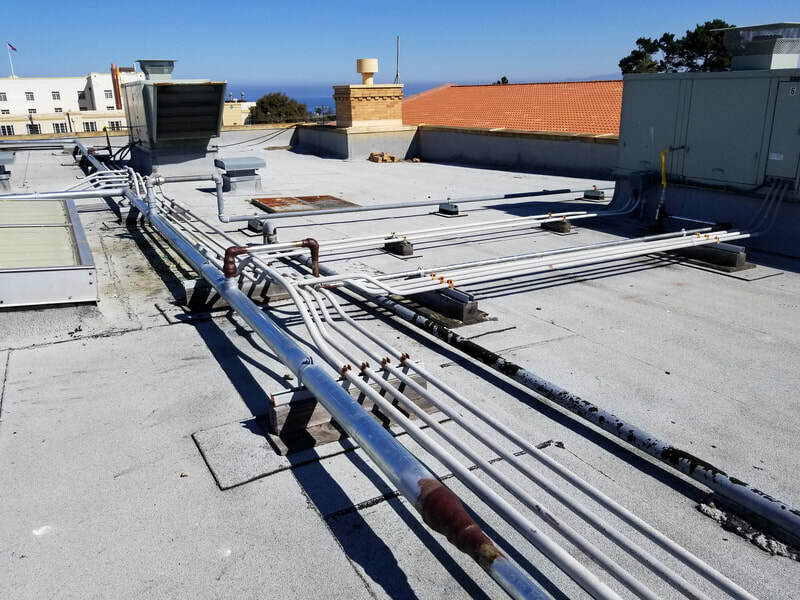 The newly installed pipe consisted of galvanized steel piping and MBS also wrapped all joints with anticorrosion wax tape to ensure the new piping would last for decades. 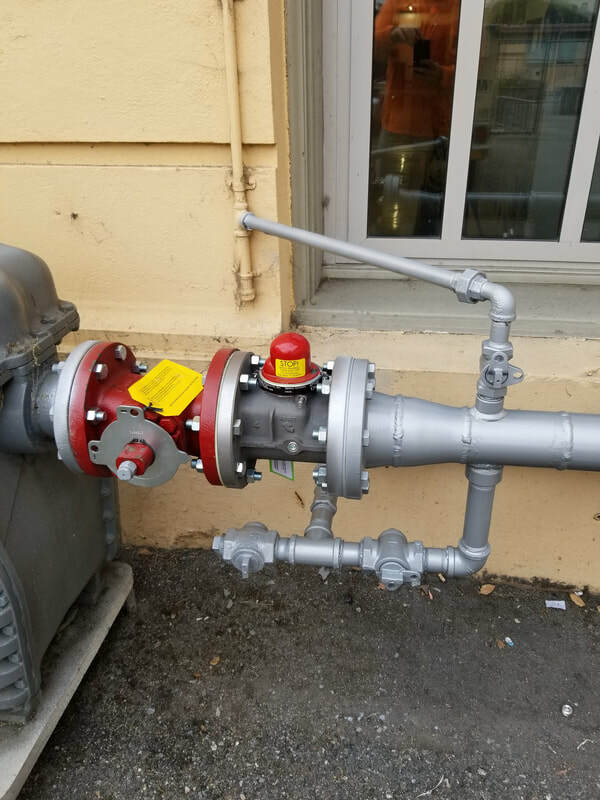 While there MBS Engineering also installed a seismic shut-off valve to protect the school in the event of an earthquake and replaced a frozen manual shut-off valve at the utility meter set. Our team is focused on innovation and ensures our field technicians have the latest technology to produce the most reliable surveys possible. We have an excellent track record with hospitals, universities, public schools, commercial clients and California utilities. ​With our extensive experience, professional field officers and state-of-the-art equipment, we're able to provide the most efficient and reliable gas leak detection possible. You can depend on our experts to help keep your gas system and your facility safe. MBS can consult and assist in all phases of the project.